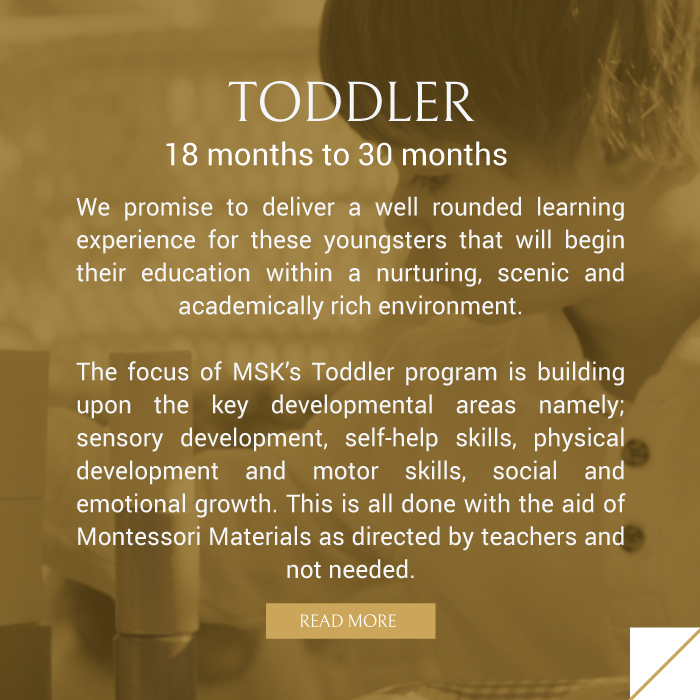 At the Montessori School in Kleinburg (MSK) we offer Montessori schooling for toddlers (starting at 18 months) to grade six. 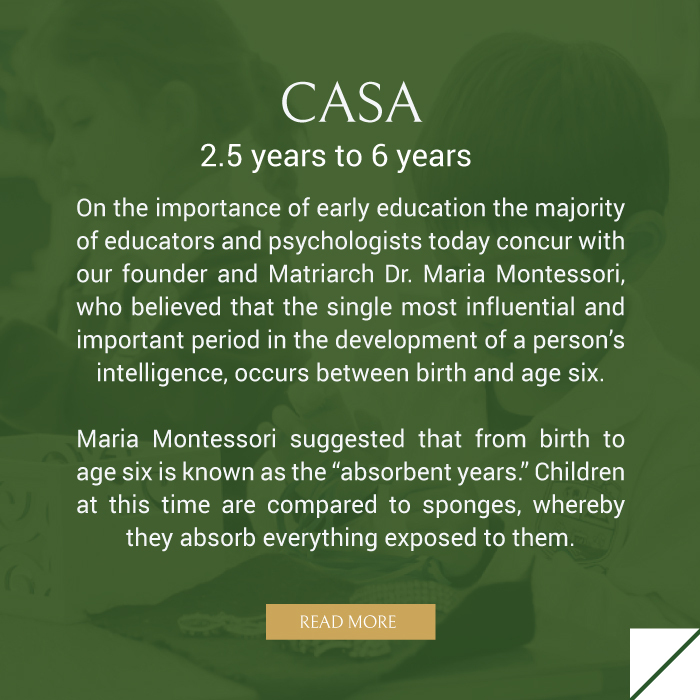 Each level of learning is divided into different programs — Toddler, Casa, Lower Elementary and Upper Elementary and is based on the Four Planes of Development as per Montessori methodology. Dr. Maria Montessori observed that people go through four distinct periods of physical and psychological changes and that is why it is essential to target their specific learning needs during each phase. 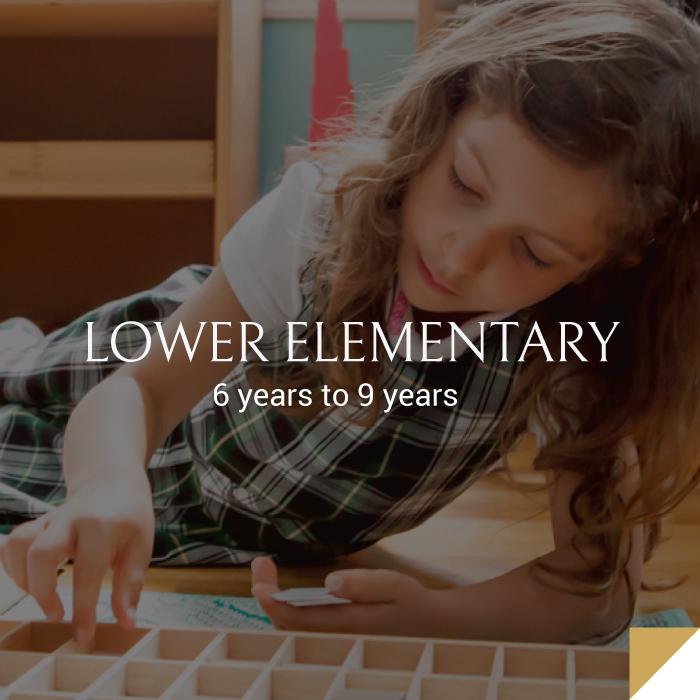 All classrooms at MSK follow a three-year multi-age cycle. This allows for ultimate learning as per the Planes of Development. 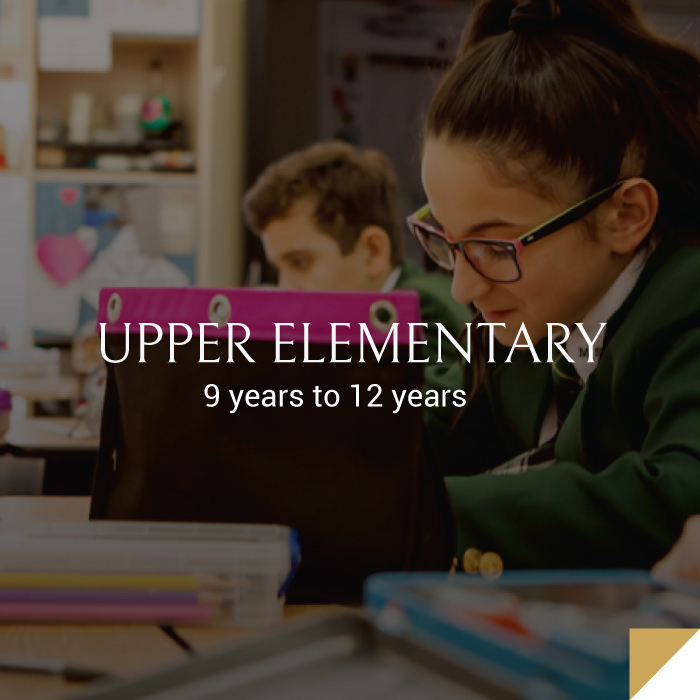 In any one of our classrooms, you will observe the older children learning by mentoring the younger children and the younger children admiring and learning what their older peers are working on. 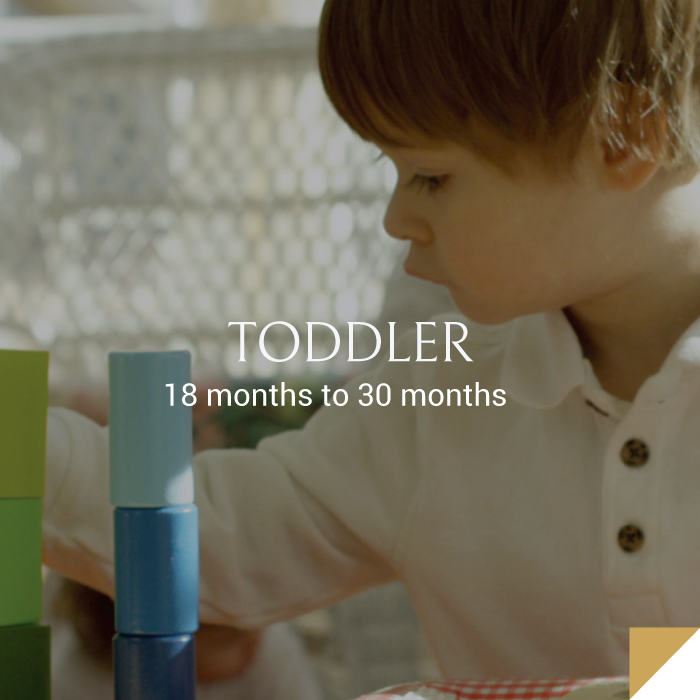 For example, in the Toddler Program, children between 18 to 30 months will begin their Montessori learning here. 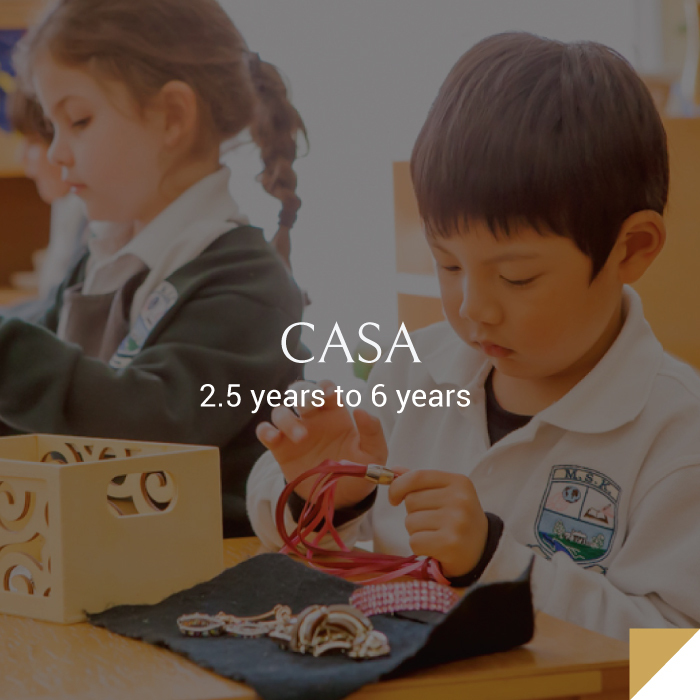 But the Casa Program houses children from two-and-a-half to six years of age. 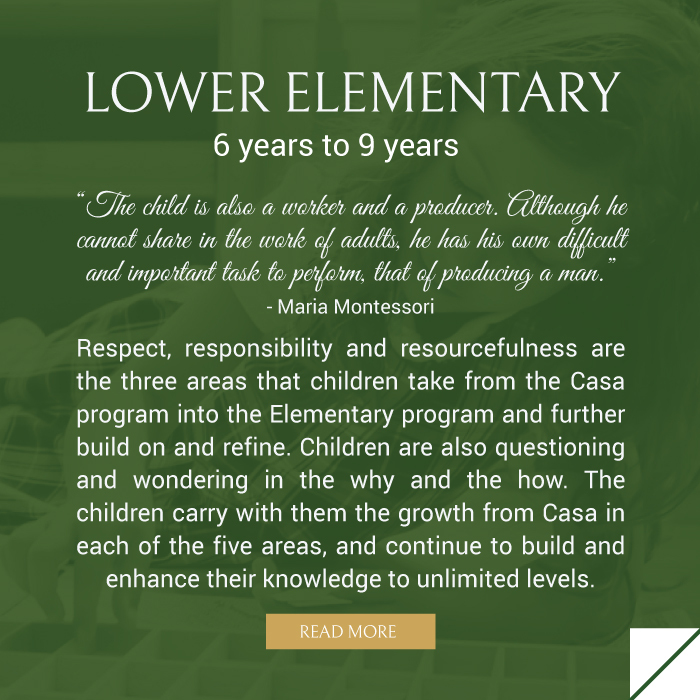 And similarly, the Lower Elementary Program will have children from ages six to nine and Upper Elementary will have children from nine to twelve. There is overlap in ages which is beneficial as children remain in the same classroom with their peers and the same teachers (ideally) for a three-year cycle — in each specific plane of development. 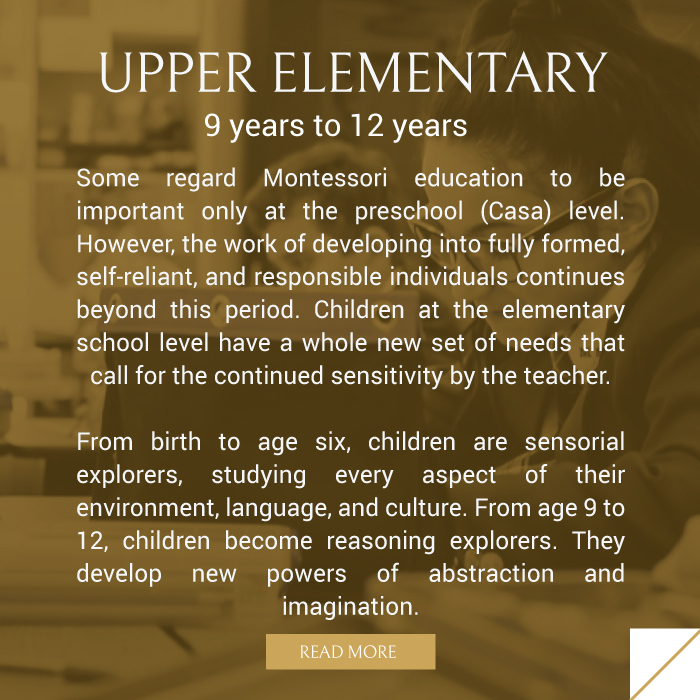 Our Montessori School in Kleinburg offers incredible programs to develop our students into respectful and responsible people. Each specialty subject has been designed to offer above and beyond Ministry expectations. Instructors are qualified and experienced in each specialty program. 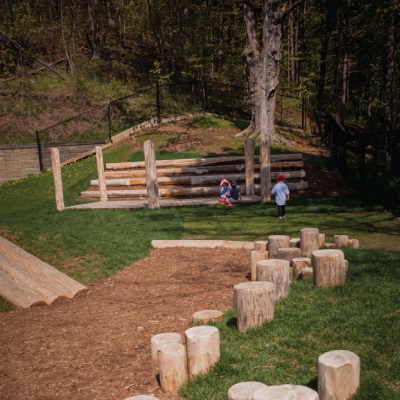 Music, Drama, Gym, Italian, French and Art are the Specialty Programs taught here at Montessori School in Kleinburg. 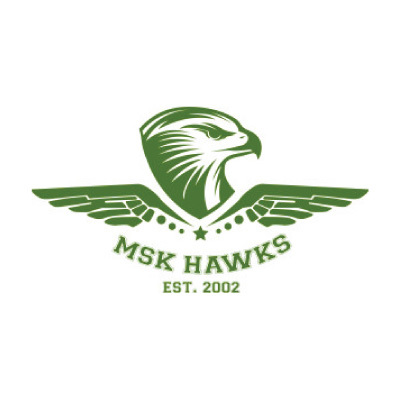 M.S.K. 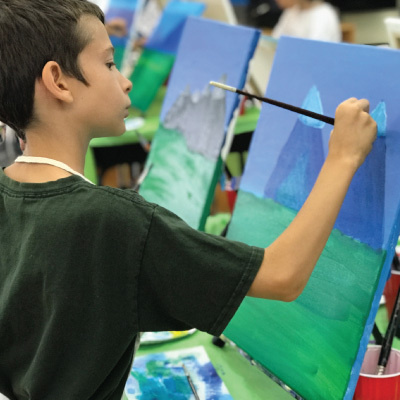 offers a variety of educational and fun before, during and after school programs. Students can choose from the wide variety of clubs including the Cross Country Club, Track and Field Club, Sports Club, Art Club, Rosary Club, Dance Club, Lego Club, Tennis Club, Crochet Club, Reading Club and Gardening Clubs. All of these cool clubs are offered throughout the school year. Each term, about 3 to 4 different clubs are offered for the children to participate and enjoy being a part of. Clubs are changed yearly according to childrens’ interests. The Montessori School in Kleinburg is proud to present a fun and educational summer camp for children of all ages.